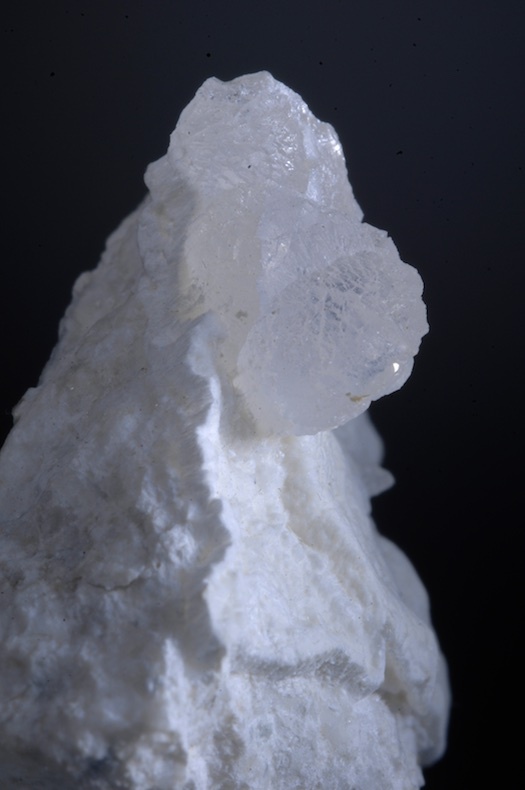 A very rare Calcium Silicate mineral, Suolunite has only been found a few times at a few locations, and only at Black lake in naked eye visible crystals. Last found in a major pocket in 1990, it occasionally forms these rounded crystal clusters. 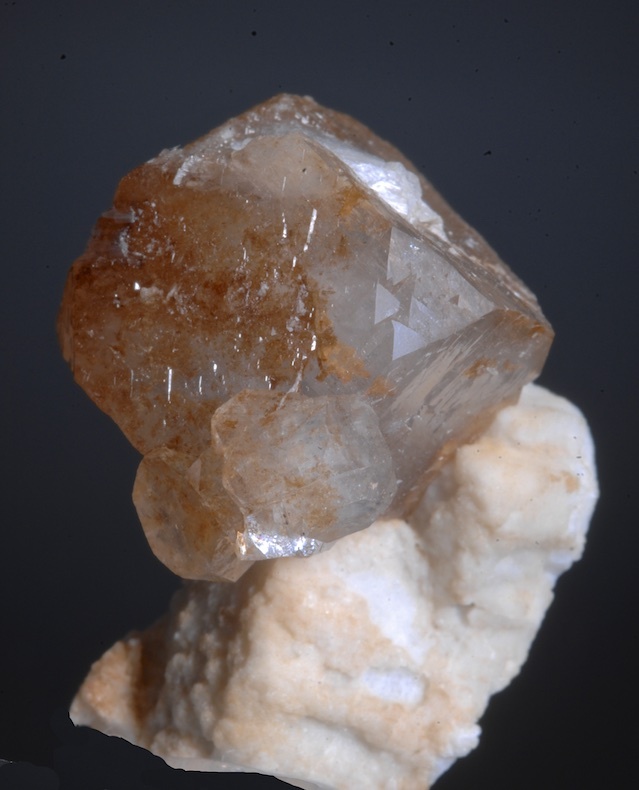 This specimen has two discrete crystal "globs" on a Talc matrix, these can resemble curved Prehnite crystals and were originally mistaken for that mineral. In fine condition, this is not the usual massive or botryoidal type, it is far more developed and choice for the specie. Ferberite (rosette) and Quartz etc. 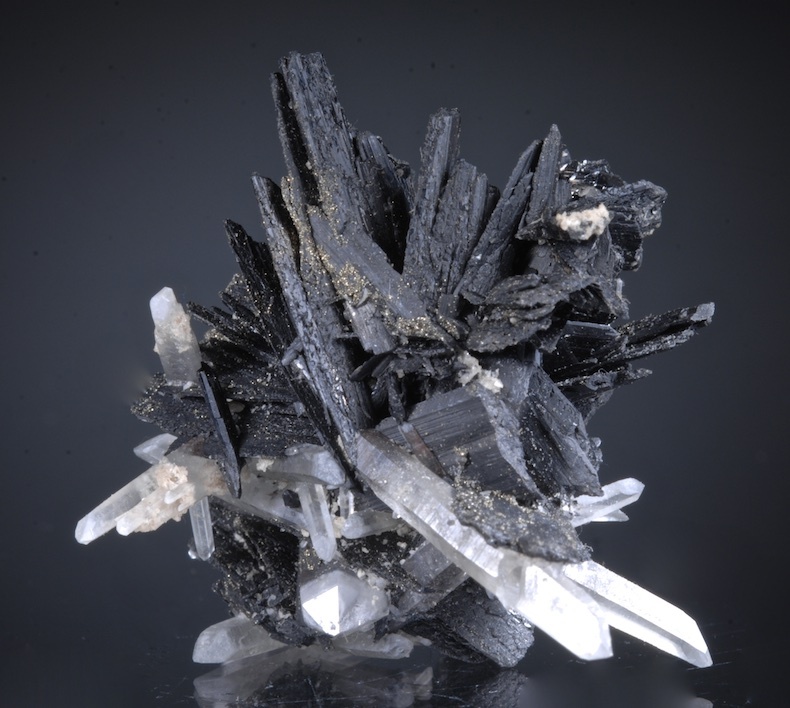 A 360 degree specimen hosting a delicate cluster of Ferberite crystals pointing in all directions and slender Quartz prisms. Very tiny Muscovite and a few Scheelites are also on the piece as is typical from Yaogangxian where complex multi specie specimens were typical. The longest slender Quartz is 4.2 CM and doubly terminated. Some contacting that is not very noticeable, several terminations are a ragged, complex type that adds some esthetic complexity. Very displayable and a choice piece from the locale. A super attractive Grossular from the great Jeffrey Mine. 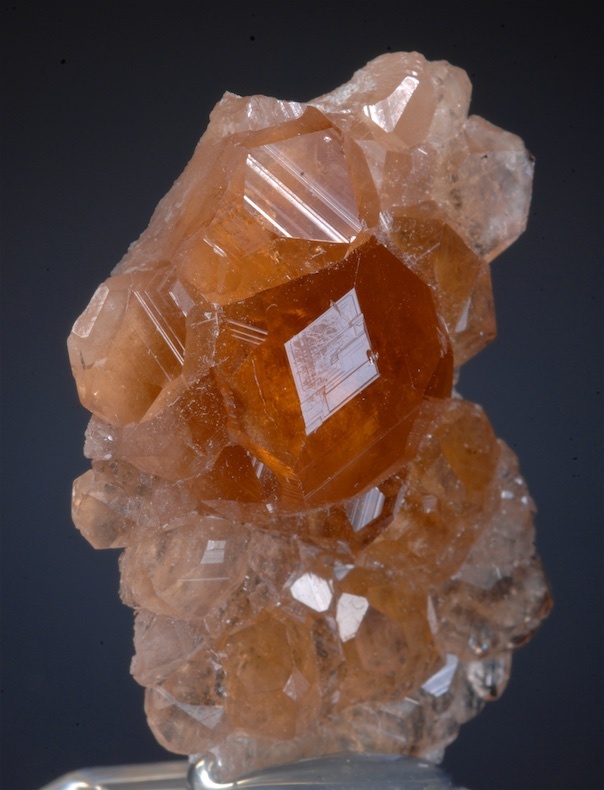 The matrix is all Garnet, a thin plate of transparent pale Grossular with a cluster of larger deep orange crystals that are very distinct and have fine luster. The main Grossular is 1.5 CM across and all gem. In fine condition this has a nice contrast and gives a good isolation to the main crystals. 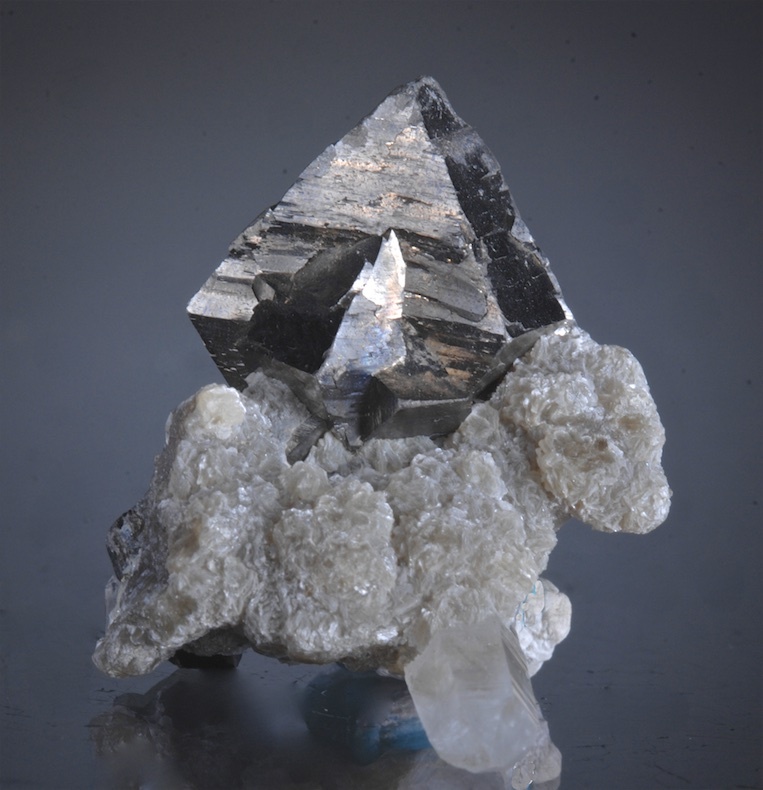 A perfect main Arsenopyrite crystal with textbook form well perched above the matrix of Muscovite and Quartz crystals. Brilliant metallic luster, no damage and great esthetics, a very choice miniature for the specie. The main Arsenopyrite is just over 2 CM and has a penetrating crystal (twin) that is in a X form, but is not very evident from the logical display angles. From finds almost 10 years ago at Yaoganxian. Hard to photograph the brilliant luster, this is great in person. An excellent thumbnail of quite fine Apophyllite from the legendary Jeffrey Mine. 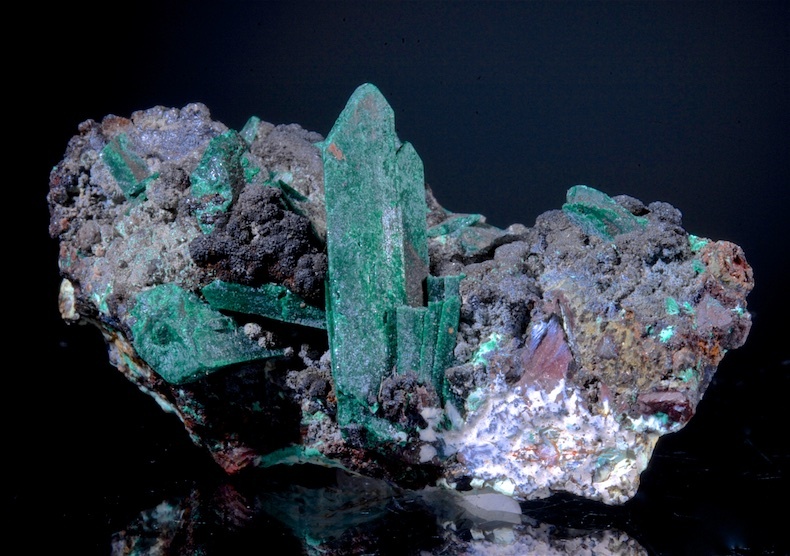 World famed for the Garnet and Vesuvianites, Apophyllite is much more rare and almost never available. The crystal here is lustrous and has distinctive well formed striations and stands apart from the matrix well. An worthy addition for a Jeffrey mine suite. 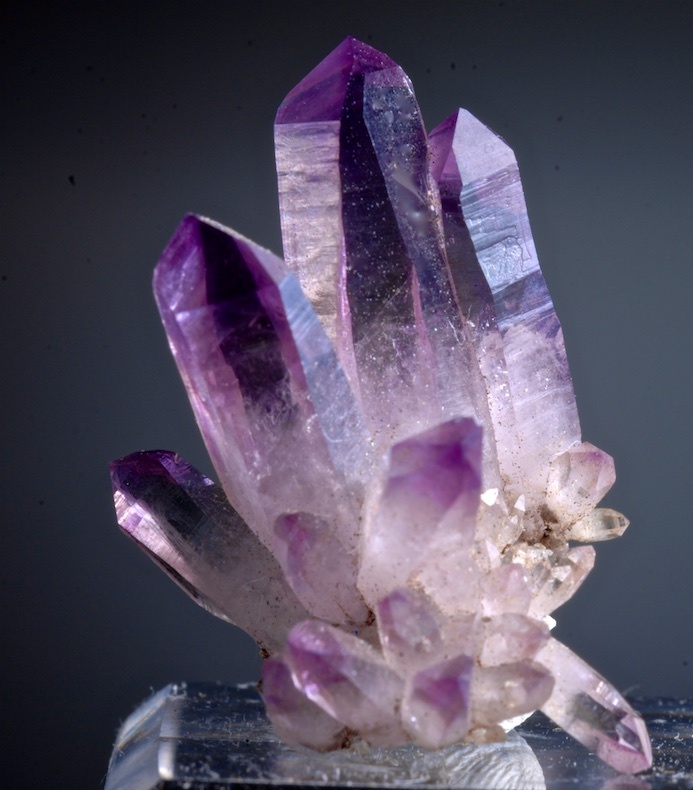 Undamaged, attractive well crystallized mineral specimens are usually quite expensive, but there are a few exceptions. This find of Amethyst is one of them. Choice small Veracruz Amethyst cluster with fine color, clarity and form. One of the last great bargains in the mineral world. 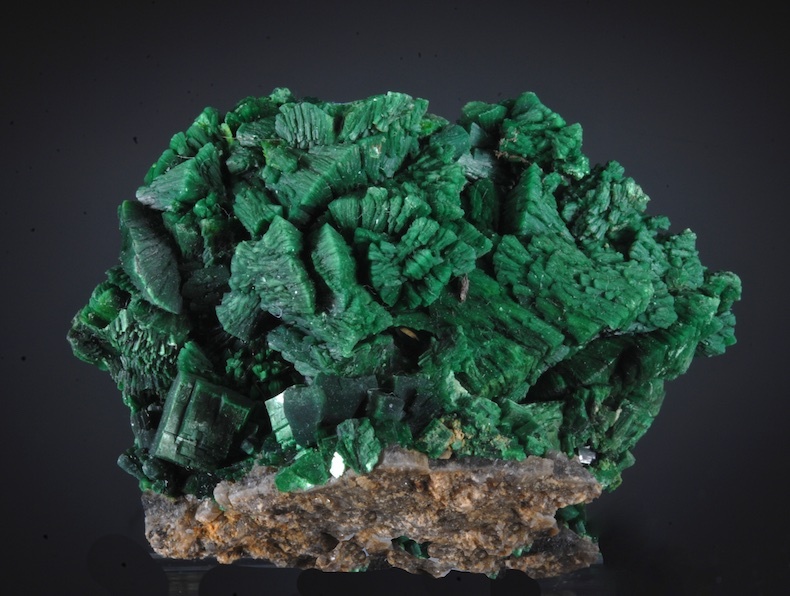 Outstanding cabinet sized Torbernite with rich green color and incredible crystal form. From the last great finds at Margabal, this is a superb piece in impeccable condition. There are two habits of Torbernite showing two generations on this piece, the largest being the fans of splayed plates. This size and quality is top percentile and the deep forrest green is impressive, but far better in person.